dataCon specializes in low volume assembly of electronic equipment for the military and civilian sectors. We are a boutique assembly house specializing in high-reliability, mission-critical applications and build-to-print electronics. The military has very exacting standards for their electronics; after all, their lives depend on it. And we bring the same level of quality and attention to detail to the work that we do for all dataCon customers. It’s part of our culture, of who we are. 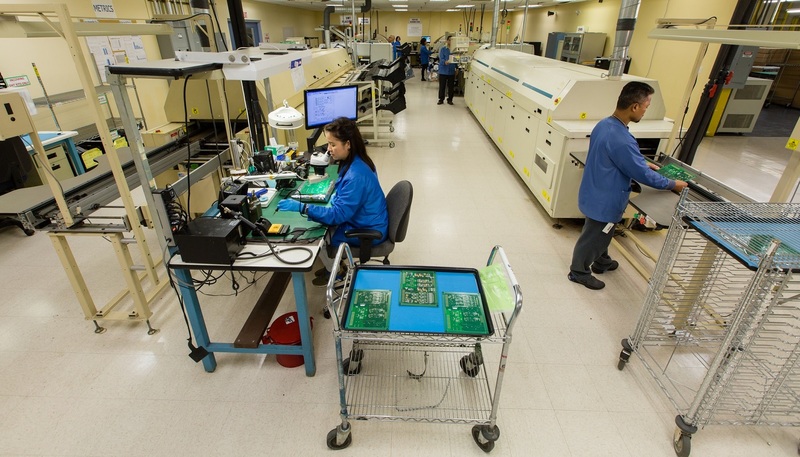 Our production teams bring decades of experience to the assembly of your electronics, regardless of the size of the run. We work with you to deliver your electronics on-time and error-free. We have experienced project managers, skilled technicians, and three surface mount (SMT) lines onsite to to expertly produce your electronics. A testament to our consistent quality are the many awards that we’ve won from our customers. dataCon is the only US Small Business to have been awarded the AEGIS Excellence Award an unprecedented four times. We are also a Lockheed Martin Star Supplier and Raytheon 4 Star Supplier Excellence Award recipient.